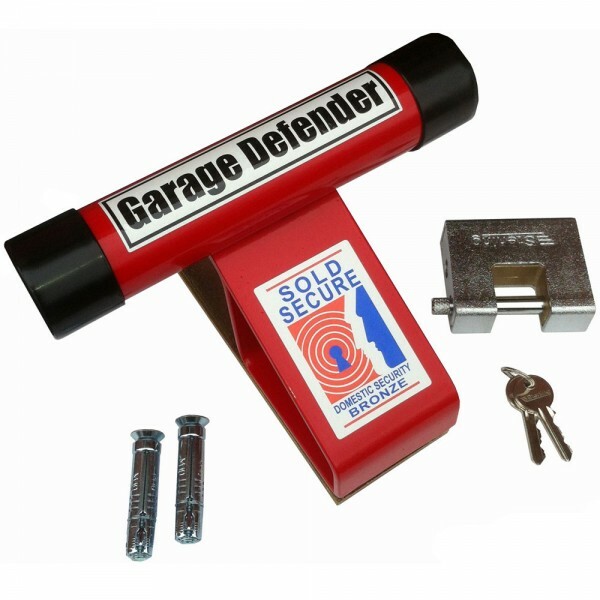 The original Sold Secure approved PJB Garage Defender for up and over garage doors. Bar unit locks onto solid steel base. Independent concealed armoured padlock. 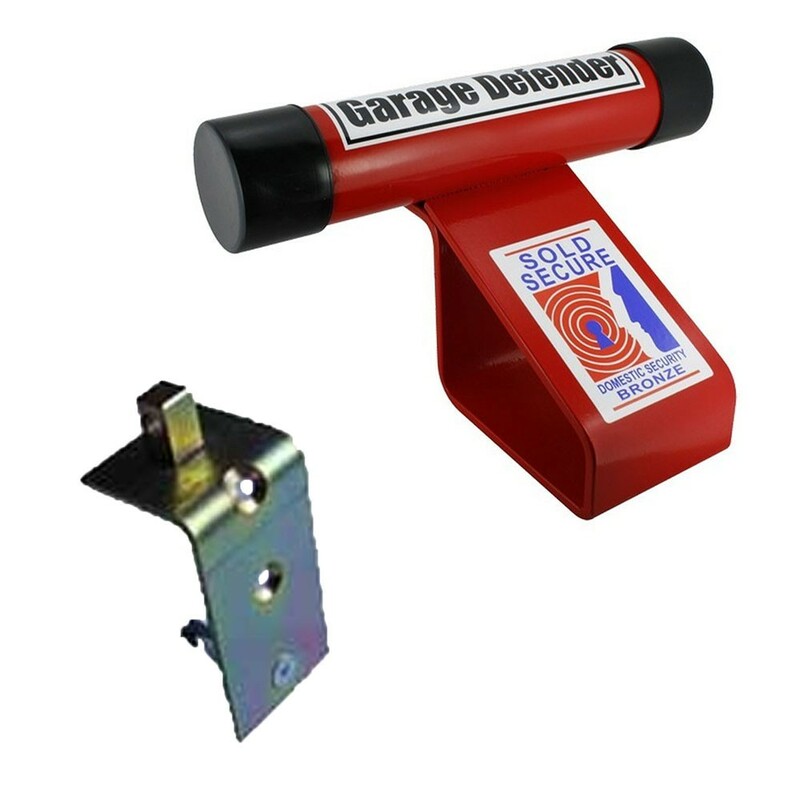 The PJB Garage Defender Red is simple to fit with security raw bolts included. Red powder coated finish.